Capt. Kirk: [Spock is wearing a Nazi uniform] That helmet covers a multitude of sins. Following on the heels of "A Private Little War," this is another serious stab at presenting the dire consequences of interfering with the natural progression of a culture. This time, the contamination is Nazism, a plague of thought / speech spread on a planet called Ekos. The Ekosians, a warlike primitive people, are subverted to channel their aggression against their peaceful neighboring planet, Zeon. The Zeons were more advanced up until a few years ago; but now, Ekos has the same technology and plans are made to exterminate the Zeons. It all started innocently enough. It's a bit strange. The Federation has had this non-interference directive, the Prime Directive, in place for at least a century or more. I understand a sometime aggressive hotshot like Kirk rationalizing around this directive at times of intense situational imperative, but now an elderly Federation historian, a supposed expert on what tampering with history means, decides to re-arrange a culture's status quo on what appears to be a whim - a chance to play God, as McCoy puts it. The main problem with episodes such as this has to do with constraints related to budget, make-up and so forth. 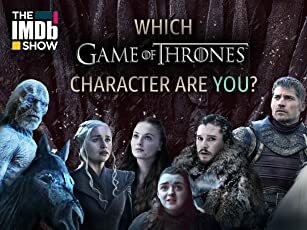 The show is unable to capture the atmosphere of an actual alien planet or culture. Rather, it appears as if Kirk and Spock have transported themselves into Earth's past yet again, to Europe during World War II when it was dominated by Nazi Germany. There is no make-up involved for the supposed two alien races here; they are, for all practical purposes, other humans. The Ekosians are the Nazis here, where-as the Zeons are stand-ins for the persecuted Jews. 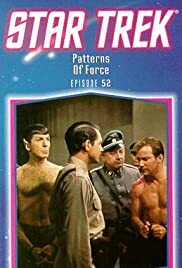 The episode does succeed in capturing some of that brutality associated with the Nazi regime and there's plenty of suspense as Kirk & Spock attempt to infiltrate the Nazi HQ to see their Federation rep, now Fuhrer. If anything, this is the serious version of "A Piece of the Action" - the scary contemplation of how an entire society can be deluded into following a certain doctrine. But, did we need a sf version of actual history to get the point across? The most intriguing aspect is Melakon, the deputy Fuhrer who is, in fact, the actual incarnation of Hitler or Himmler - take your pick.